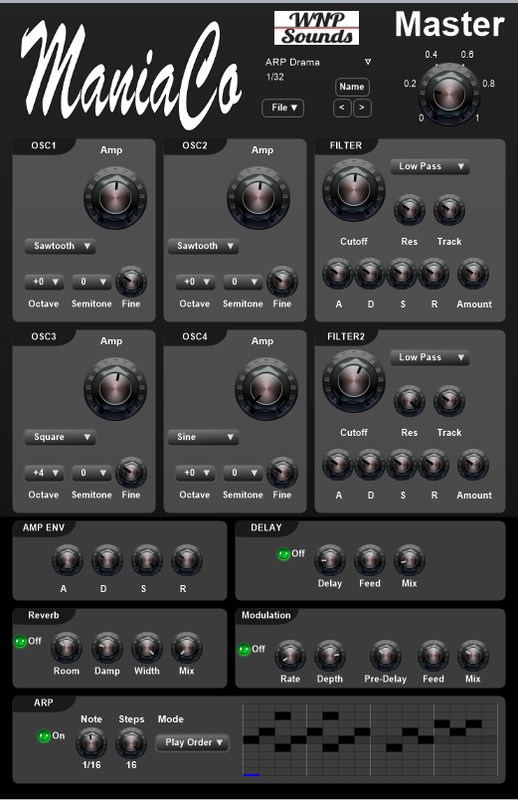 ManiaCo, Virtual subtractive synth from WSProAudio. 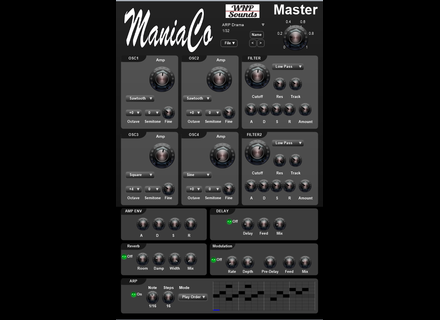 WNP Sounds released a new version of its ManiaCo virtual synth and lowers its price by up to 70% for a limited time. ManiaCo update v1.3 changes sensitivity of the Amp, Cutoff and Master settings. A Colour option was also added and various issues fixed. Through October 6th, ManiaCo is available for the special price of CAD $9.99 instead of $34.99 at www.wnpsounds-eng.net/product/maniaco/. ManiaCo is a standalone and VST 32-bit plug-in for Windows. LVC-Audio updates all its plug-ins The whole LVC-Audio plug-in catalog has just been updated in order to add new features and improvements. A piano for Kontakt based on convolution Sound Dust introduced Plastic Ghost Piano, a new hybrid piano sample library for Kontakt that uses convolution. Xfer Records introduces Serum Serum, the new virtual instruments from Xfer Records, is a wavetable synth for Mac and PC.